Check Out The Latest Episode of Afronerd Radio's Grindhouse: Agent Carter, Ant-Man & More - Afronerd: The Blerd Revolution Has Begun! And as 2015 progresses, check out the latest episode of Afronerd Radio's Grindhouse broadcast (The Comic Shoppe+Afronerd Radio) airing live with The Shoppe starting at 6pm this Saturday. Join Daryll B., Capt. Kirk and Dburt as they discuss the following pulp related issues: friend of the show and Shaft scribe, David Walker stops by to discuss the critical success of his latest book (and it's just issue #2); Marvel's Agent Carter series airs with respectable numbers and great reviews with The Ant-Man trailer in tow as well; our thoughts about some of the actresses that are up for potential roles in the next X-men installment, Age of Apocalypse; does an alleged all female casting choice for The Ghosbusters reboot discredit the legacy of the franchise? And lastly, what were some of the highlights that came out of the recently held Image and CES expos? 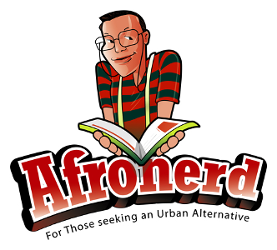 And then at 7pm, stick around for the latest installment of Afronerd Radio. Dburt and Capt. Kirk tackle the latest news stories such as: the terror continues via the Charlie Hebdo attacks in Paris courtesy of Islamic fundamentalism; Is there really a difference between the usage of the terms Black vs. African-American? ; the coonery continues with record ratings in FOX'Empire; the Hughes Brothers are helming a Roots reboot TV series; famed Gospel legend, Andrae Crouch passes and lastly, our thoughts on this weekend's release of the Civil Rights period drama, Selma. Call the hosts live at 646-915-9620.